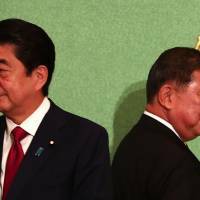 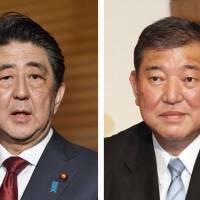 A debate illustrates Prime Minister Shinzo Abe’s and former Defense Minister Shigeru Ishiba’s differences on how to overcome some of the most fundamental problems Japan faces. 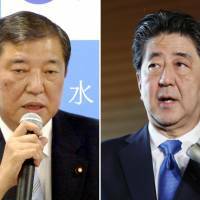 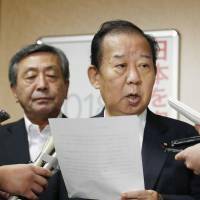 Survey result puts prime minister in strong position ahead of ex-Defense Minister Shigeru Ishiba as Sept. 20 race looms. 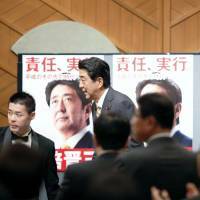 Official campaigning for the ruling Liberal Democratic Party’s presidential election kicks off, setting in motion a two-week race widely predicted to give Prime Minister Shinzo Abe three more years in office. 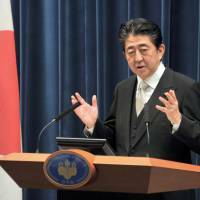 As the world witnesses the imposition of retaliatory tariffs by some of the world’s largest economies, Japan “must not be an introvert,” the prime minister said. 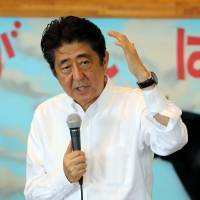 A poll finds just over 36 percent named Prime Minister Shinzo Abe as the most suitable leader for the ruling Liberal Democratic Party ahead of September’s party leadership election. 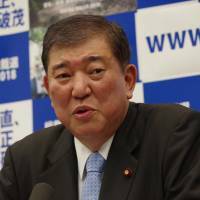 Shigeru Ishiba, his rival, placed second. 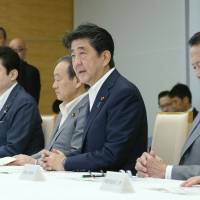 The laws would involve enhancing the productivity of service industries, promoting the migration of urban residents to rural areas and reforming local government systems.